UPDATE: We are praising God for His abundant blessings! We have received all the funding needed for Miriam’s surgery. Thank you all for continuing to support us through your prayers and donations. Miriam Hasdak joined Bangla Hope when it was founded fourteen years ago. She began working as a caregiver and has recently been filling in to assist with our medical needs. She puts in endless hours caring for our sick children, providing medications, bandaging injuries, and weary hospital stays with our children who are hospitalized for any reason. Miriam has recently been diagnosed with ovarian cists and now needs medical attention herself. 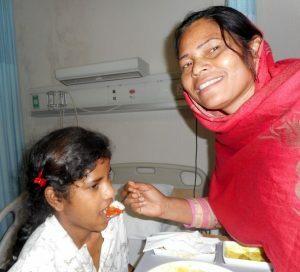 She has been dragging her feet to acquire the much-needed medical help because of the costs involved. 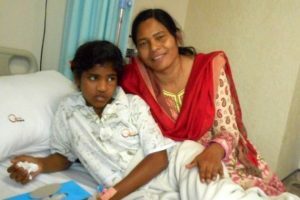 I have instructed Suchitra, our administrator, to get Miriam into the hospital as quickly as possible and that God would help us to find the funds to aid in her recovery. It is estimated that her operation may cost around $2500. May the Lord bless you as you continue to work for His soon return. The Bangla Hope Family Has Grown by Four! Bangla Hope is a registered 501(c) (3) nonprofit organization. All donations are tax deductible in full or in part.